Barcelona's president, Josep Maria Bartomeu ruled out the prospect of Neymar's return to the Camp Nou. 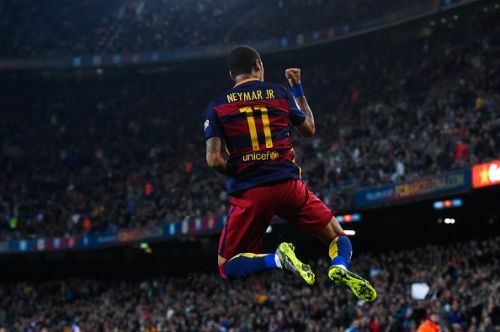 Neymar is among the most talented footballers of his generation. He joined Barcelona from Santos in 2013 and enjoyed a great spell with the Blaugrana. He played 186 games in all competitions during his four-year spell with the Spanish giants, scoring 105 times. The Brazillian helped Barcelona win two LaLiga titles, three Copa del Rey trophies, one Supercopa de Espana along with one FIFA Club World Cup and one UEFA Champions League trophy. Neymar left Barcelona for PSG for a world record transfer fee of €222 million in 2017 but was being linked with a move back to his former club during the recent months. Speaking to the Spanish radio station Kanal Radio Barcelona(via Sky Sports), Josep Maria Bartomeu ruled out Neymar's return to Barcelona. He said: "I've spoken with Neymar, we've seen each other a few times, but his people have never told me he wants to come back. He further elaborated: "We have the disadvantage of the [release] clause here. European clubs [can] take advantage of that. That's not the case [in France] so it's not possible for him to return. "The club's taken another path, with Dembele, Coutinho. We have to move on with them. They're the two biggest investments in the club's history and we back them 100 percent. Barcelona will face Valladolid next in the league, whereas, Neymar's PSG are scheduled to play against AS Saint-Etienne at Stade Geoffroy-Guichard on February 18.